How to use Snapchat for Marketing – Snapchat is the virtual equivalent of attempting to read a note that’s been thrown into a furnace – it’s there and then viola – it’s not. As you most likely know, Snapchat allows users to send photos or videos to friends; the catch is they disappear within second, never to be seen again. A lot of people would consider Snapchat the young person’s social media network. The network has a notably low average age and thus is considered to be more dynamic and responsive. For particular businesses this poses plenty of advantages and potential benefits – fantastic. However, there is a flipside and that is that the site reach and success is a lot harder to measure than other more established sites. In addition, marketers really need to be on the ball as Snapchat is literally a young man’s game and snaps whizz by in an instant so you need to react quickly. 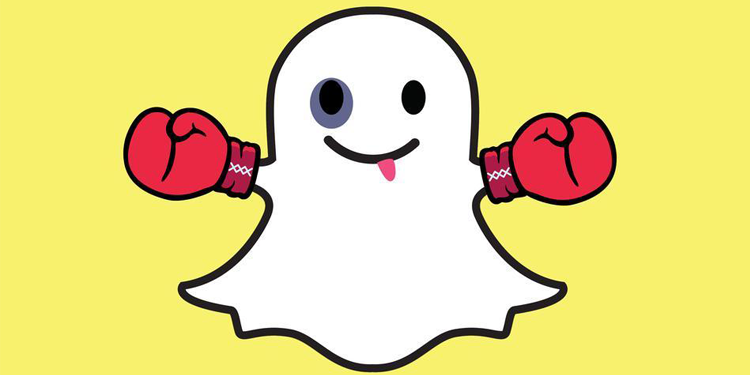 So, how do you turn Snapchat into the perfect marketing tool? Well, like any new technology or social network in its infancy, it’s about being creative and we’ve seen a number of smart ways to integrate the site into the social media marketing mix. As we’ve mentioned, Snapchat images or videos only lasts for a few seconds and this really can play on a feeling of ‘less is more’. Using the site for sneak glimpses of new videos of products or information can really create a talking point and get people interested and chatting about your brand – what more do you want? Snapchat is also great if you’re hoping to engage customers in sales or special offers. Simply send them a coupon with a keyword or discount code that they have to use to save money when ordering or buying from you. There are all sorts of ways this has been utilised though one of the most infamous and creative was by US yoghurt store 16 Handles. Whatever way you decide to promote your business with Snapchat, remember it should create excitement and once again get people talking. For instance some fast food outlets in America haved used Snapchat to showcase a secret menu item now and again, which is only available for that day. If something along these lines works you can sit back and watch as footfall peaks. Of course, the big Snapchat marketing benefits come in the shape of competitions. If you’re the generous sort then Snapchat can be a great way to improve footfall in your shop and overall interest in your brand. Here are some ideas for contests using the app. – A simple competition is to send a number of images to followers. To be entered in the draw users have to write down all the images or words. – Quicksnap – another simple game, where the first to responds with a Snap in return wins a prize. – Utilise other networks by providing clues and questions to customers like above, but by also promoting them through Facebook and Twitter. Ask for answers and submissions to be performed through Twitter to get a buzz going and so people’s friends will also take an interest in your brand. – Currently Snapchat doesn’t have the same strict terms of service of Facebook or other sites have. So, a great way to build followers is to get current followers to ask friends to follow you. This can be verified by getting the current follower to tell you who to look out for and the new follower sending you a snap to verify they’re the same person. Use discounts, prizes or special content in the shape of coupons to motivate current followers to do this. Snapchat is a pretty cool social media site and one that’s only getting bigger and bigger. So, some wise usage can really push up your engagement and follower rates and help you make more of it. Are you using Snapchat for marketing? We love to hear how in the comments. Have a marketing question you’d like to discuss or fancy a chat with a bunch of digital marketing geeks? Go on, give us a call or get in touch! We won’t bite. Promise!